The 2012 Kia Sorento promises a lot and never fails to deliver. It's attractive, versatile, fuel-efficient, affordable, reliable, and it has one of the nicest interiors we've seen in this category in a long time. Overall wonderful vehicle, some mechanical issues down the road. Overall I absolutely love my car. We have owned this model vehicle for almost 4 years now and it has always driven smoothly and does well on gas. We have taken this car cross country and on vacation without issues with overheating etc.. The sound system inside is very nice as well as the features within hands reach. I like the overall design of the car. I didn't want to buy a minivan when I became a mom but I also didn't want a gas hog SUV. A few things that I would change about this vehicle would be that I wish the back seat had more room. We are expecting baby #3 and until I test out all three car seats in the back I am not sure they will all fit. Mainly the middle seat in the back. So I would have wanted a larger seating space per seat. Leg room is no issue and the trunk space is great though. We have had a few mechanical issues with this vehicle though recently around 125, 000 miles. We just paid to have a new transmission installed. And we have had to replace the u joint axel in the front right side. Both expensive fixes that I wish hadn't have happened with this vehicle. I want to keep it as long as I can though since I love everything else. But these were definitely surprising issues. I have had very few problems with it. It is a very reliable vehicle. 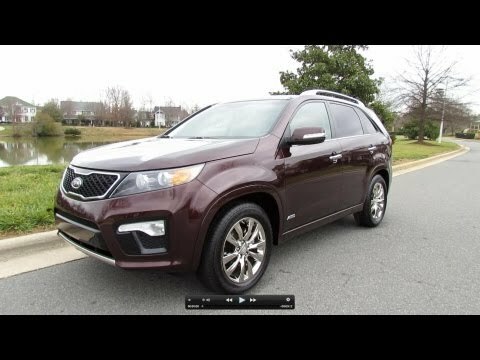 My Kia Sorento is a very comfortable car for my family of four, especially on long trips. It has plenty of legroom in the front and middle rows, lots of cup holders and adequate room for everyone’s gear. Everyone feels like they have their own space. There’s even space for our large dog! I love having a third row, but I wish there was a little extra legroom back there. The rear seats are very easy to fold away when we need extra storage space, and they're just as easy to pop backup when we have to pile kids in the third row. It is a very easy car to drive and it handles really well. Overall, I am very happy with the car. I have had it for 7 years and have driven it well over 100, 000 miles. It is been very reliable. When it comes time to replace it, I am going to replace it with another Sorento. Regretted purchase of Kia Sorento. I have had a lot of problems with this car compared to other vehicles. The engine was replaced when the car was 5 years old, the radio died and had to be replaced, there were rust spots on the roof that we complained about multiple times, and the dealer would not do anything about it. Now they are so bad that we need a replacement windshield due to a chip that spread, and the windshield company will not replace the windshield until all the rust is taken care of that is around the windshield. That estimate was around $1000 all of which insurance will not cover. We have had the steering wheel replaced due to the leather flaking off. The car has been in and out of the dealership more times in 6 years than my last 2 cars combined ever have.